Trace your ancestors and then immortalise them! 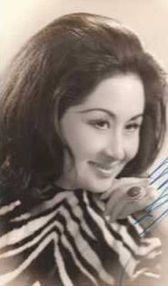 Click the pictures below to take you to the singer's own page. There you will hear them sing, see their pictures, read their biography, and watch them on You Tube Videos. The background music playing is Zhang Lu singing Shepherd's Tears from 1968. Not from our Shanghai period but it's so nice for this introduction page. 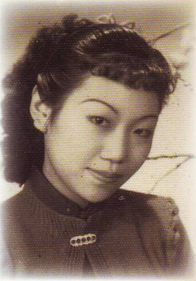 You will hear more of Zhang in her 1940s mode later. It is 320 kbps which is very high mp3 quality. If you wish to stop this music, please go to the foot of this page and adjust the player accordingly. 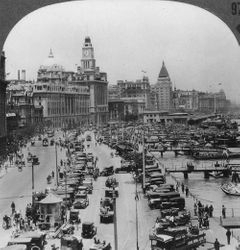 Opposite you see the famous Bund in Shanghai, as it was in the 1930s. By day it was a bustling port making Shanghai one of the busiest and most cosmopolitan cities in the world. By night, it was full of clubs and dance halls, where people of all nationalities and occupations sang and danced the night away. It was the centre of China's Film Industry and its Music Recording Industry. The Hollywood of the East. The Angel monument you see in the second picture is the Allied War Memorial, designed by Henry Fehr. It was unveiled on 16 February 1924, and was the largest and most impressive of the foreign monuments erected on the Bund between 1864 and the Pacific War. Known in Chinese as the ‘European War Victory Memorial’ 欧战胜利纪念碑 or Angel of Peace 和平女神像, it commemorated the over 200 Shanghai foreign residents who were killed whilst serving for the allied armies during 1914-18. It was unveiled and dedicated at an impressive ceremony attended by large numbers of veterans, servicemen, foreign civic dignitaries, and even Boy Scouts. In September 1943 the statuary and side panels were removed by the civi authorities, after Japanese pressure. 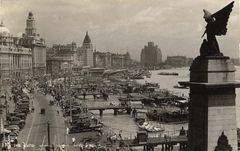 In 1947 their smashed remains were found in a scrapyard, and transferred to the grounds of the British Consulate-General at the northern end of the Bund. Although there were attempts by the United Services Association, which represented British veterans, to have the monument restored, nothing came of this. The memorial was always a site of anxiety. As we shall see, all of the Shanghai monuments were, but as the largest of them, and because of its emotional place in the civic war memory of local Europeans in particular, the Angel of Peace attracted a great deal of attention. 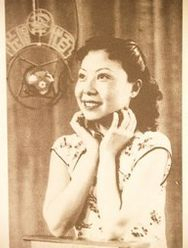 Above are 14 of the most popular singers of Shanghai from 1931 to 1949. Some were born in Shanghai, while others came there from other parts of China. Shanghai was the only place to be whether you were a singer, dancer or actress.The Hollywood of the East. My interest in Chinese Popular Music. On February 3rd, 2012, I was looking through my 1960s Garage Psychedelic compilations, looking for a song to make a new video of for my You Tube channel. After two years of making such videos, I had run out of songs that would be new to You Tube. As I looked at one that I had made about five years earlier, I noticed track 6. It was not a 1960s Garage band at all, nor anything akin to it. It read " Zhou Xuan - One's Life Like a Flower ". What she was doing here amongst raw garage sounds and fuzz guitar mindblowers, I had no idea. But here she was singing like a nightingale. I was entranced by her sweetness. 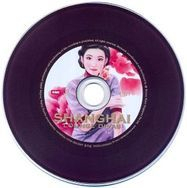 I had always loved Chinese music, and had several D90 tapes of unknown singers, which I'd had since my World Music days in the late 1980s. It was time to find out more about Zhou Xuan, and the internet duly obliged. I set off on my journey that cold Friday night. 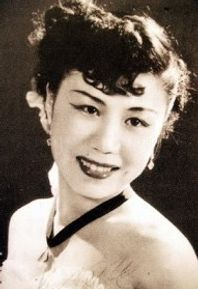 Zhou Xuan wasn't just a singer, she was a legend. 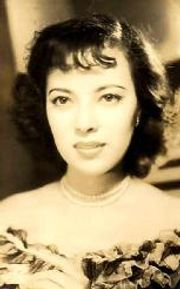 Known as China's "Golden Voice", her story was one that would melt any heart. After several hours research, and quite a few tears, I had found several resources where I could sample her music, and in some cases, actually download her songs. One's Life Like a Flower was just the tip of a beautiful iceberg. Within twenty-four hours, I had several songs ready to be made into videos over the weekend. On Monday, 6th February, I uploaded three of these videos - full of wonderful pictures and sounds - and the following day, I uploaded two more. 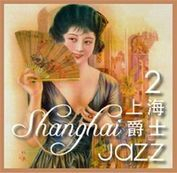 My zzenzero channel had always been eclectic in content - A gathering of music from all corners of the sphere, wherever the heart leads - but now it would focus almost completely on the Chinese Music of Old Shanghai. Zhou had done alot more than just open the door to her beautiful music ... she had introduced me to her friends, and to Shanghai itself. I had learned how to use Chinese script in conjunction with Google Translate, and so had access to what I now call the Chinese Internet, and this became particularly useful as I checked You Tube to see what had been uploaded. Using 音译script, I found most of the songs that I uploaded were already there. But unless you knew how to use the 音译script the songs were invisible to you. So my mandate became to present Zhou Xuan and her friends to a wider audience, who only search the internet using the 'standard' world alphabet. Within 6 months, I had featured 32 artists, including 2 male vocalists. 80 videos in total, each one containing a collage of pictures in high resolution, and with detailed information next to the video, including lyric translations for most of the songs. Bai Guang, and Li Xianglan joined Zhou Xuan in my 'top 3', with several others waiting in the wings. 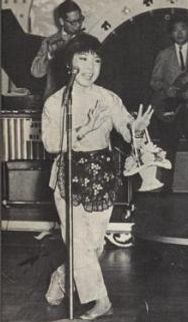 Grace Chang's "Taiwan Song" gained the most views, 5,500 in 6 months, with Tsin Ting's "Song of Tomorrow" just passing 2,000. Zhang Lu's "Shepherd's Tears" had a view count of over 34,367. But she did have a 2 year start on her friends, and most of these views were gained under the title of "Chinese Mandarin Song by Unknown Singer." I had waited 23 years to identify this song! Quite a journey then, since Zhou and I first met, and now here we have a website connected to the channel. With the extra space available here, we can have lots of pictures and bio information on our nightingales. Lots of links to their You Tube videos, with some showing film clips, because most of these "divas" were also actresses. Where I have birthdate information, there will be Astrology portraits available, taking in both Chinese Astrology - 4 Pillars with a little Zu Wei Dou Shu - and Western Zodiac Astrology. There is a guestbook here too, which combines this new 'branch' of the website with my original Family History branches. As far as I am concerned, Zhou Xuan, Li Xianglan, Zhang Lu etc are now part of the Family. Update - July 17, 2013. By May 10, 2013, I had reached over 150 Chinese uploads, and this section had been added to by the music of first Hong Kong and Singapore, and then Taiwan. 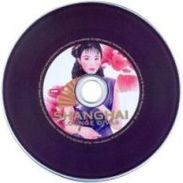 The impact of Teresa Teng on Chinese Music had been realised, and Fong Fei Fei, Tsai Chin, and Chyi Yu had brought me 'up to date' ... or at least to 1990. However, on May 10th, I removed all 420 of my You Tube videos, including my beloved Chinese ones. I had been issued with a copyright warning which meant that You Tube were just 2 steps away from deleting my channel and with it all my videos. I decided to save them the trouble and do it myself. I could no longer tolerate the way the management at You Tube dealt with its uploaders ... its very lifeblood. Since then, I decided that it would be better to run with the devil than lose everything I had worked towards for 15 months. I have now restored most of my videos, though the view counts are lost, and I start from scratch. As early as 1889, gramophones were being imported into Shanghai, which became the centre of China’s record industry. It was another 14 years before recordings actually took place in China. Thirty-year-old Fred Gaisberg was an experienced recording engineer working for The Gramophone & Typewriter Company Limited of Great Britain (G&T) He came to Shanghai in 1903, and made these historic recordings between March 18 and April 26. He also recorded in Hong Kong during this trip. The previous year, he had recorded Caruso for the legendary Victor Talking Machine Company. Some of these Chinese recordings were also released on Victor, and here is “Dating in a Buddhist Nun Room” by Zhou Feng Lin, a comic drama song from these 1903 sessions. http://www.youtube.com/watch?v=HJ0KBEz23j4. It is being played on a Victor Type II Talking Machine. Thank you to victrolaman for this unique upload, and some useful background information. In G&T’s 1904 catalogue, 476 Chinese records were listed – including our friend above. Some in Mandarin from the Shanghai sessions, others in Cantonese from the Hong Kong ones. Fred Gaisberg’s trips to China were arranged by Moutrie & Co, a long-established British company who started their work in Shanghai in 1906. They eventually became Victor’s sole representatives in China. In 1908, Pathé Records of France started their Shanghai subsidiary called Pathé Orient. 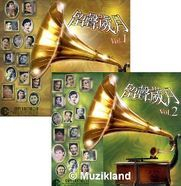 Now the Chinese Record industry was well under way. 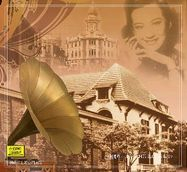 They opened their record factory in Shanghai in 1916. 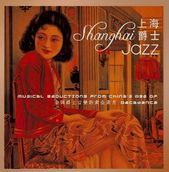 By 1926, there were 30 record companies in Shanghai, including Pathé Records, RCA Victor, and Great China Records. Traditional Chinese Folk Songs and Opera still held sway, almost exclusively so. What we now call ‘popular music’ was almost unheard of at that time, or certainly unrecorded. Enter Li Jinhui, 黎锦晖the “Father of Chinese Popular Music”. He was born on September 5, 1891 in Xiangtan, Hunan, China. Even before he graduated from Changsha Normal High School in 1911, he had shown himself to be the complete music impresario … performing, directing and instructing school choirs. He spent 3 years in Beijing until 1914, when he returned to Hunan. Writing satirical political songs, and then being beaten for doing so by a local warlord, wasn’t a healthy pastime, and Li returned to Beijing in 1916. He spent the next 4 years involved in the New Culture Movement, and pursued his love of all forms of music - from opera to his first love, Chinese Folk Music. His contemporaries tended to frown on his love for such simple music rather than kungqu opera or Western romantic music. As well as his Beijing University professional commitments, Li was Editor of the Common People’s Weekly Magazine, an editor at the China Book Bureau, and the following year, the principal of the National Language Institute in Shanghai. Also in 1922, he was editor of the children's magazine Little Friend, China’s best selling periodical. However, it was his initative in 1920 that was to eventually change the landscape of Chinese Music forever. He formed the Bright Moon troupe with this inspirational objective: “we raise a banner of a ‘music for the common people,’ like the bright moon in the sky, shining across the land for all the people to enjoy” He broke the taboo of not allowing women to perform on stage when he hired young girls to sing and dance in his school musical productions. His work was innocent and educational - a breath of fresh air that was loved by ordinary people. 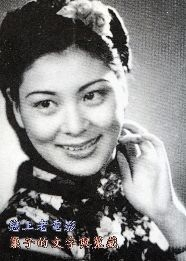 His daughter Li Minghui 黎明晖,1909-2003, became a very popular singer and child film star. 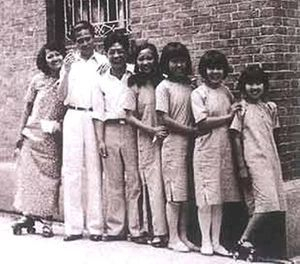 He also formed the Chinese Dance School in 1927 and the Chinese Song and Dance Troupe in 1928. He was faced constant pressure from critics, the KMT, and financial restraints, but he never wavered in his aims and objectives. In 1929, he re-formed his Bright Moon troupe as the Bright Moonlight Song and Dance Troupe, and toured even more extensively than before. 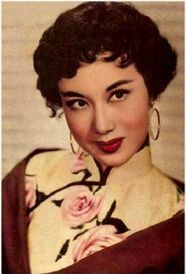 Zhou Xuan and Bai Hong were just two of many stars who started their careers with it. 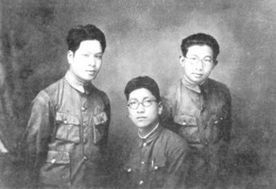 It evolved into the Lianhua Film Company (see picture below) 2nd from the left is one of Li Jinhuan's 7 brothers ..Li Jinguang (黎锦光) 1907-1993. Like his elder brother, Li Jinguang was a composer, writing such classics as Tuberoses. It has been said of the 2 brothers that, together, they virtually invented Chinese Pop Music. 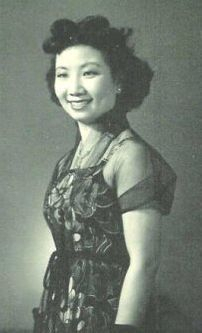 He was married to Bai Hong until 1953. Li Jinhui's compositions responded to the times he lived in. When he combined Folk Music with Western Jazz, Shidaiqu was born. 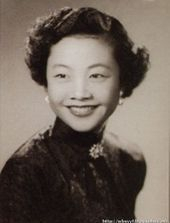 His work with American Buck Clayton refined this Sinese Jazz music, and Li Jinhui led the first all Chinese jazz band in Shanghai night clubs. His music was performed throughout South East Asia. 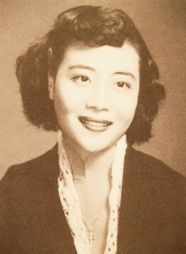 His song "Drizzle"毛毛雨, recorded by his daughter Li Minghui, is regarded as the first Chinese Pop Song. Listen to it at http://www.youtube.com/watch?v=SYMAUSajDgk&feature=youtu.be. Oh to have such youthful exhuberance and joy of life. I love it. Although Drizzle was released in 1932, it was written by 'dad' in 1927, and recorded by his daughter in 1929. Whether the recording above is actually that recording or a 1932 one, I don't know. He also wrote music for films. Throughout his life, critics denounced his music as ‘yellow music’ and pornographic. When the Communist Party came to power in 1949, Li Jinhui didn't relocate to Hong Kong or other places. He remained in Shanghai to continue his life's work, and until his death in 1967, he was the subject of much persecution. 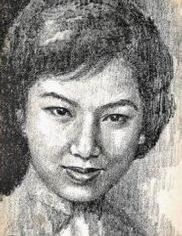 Chen Gexin (1914-1961) wrote over 200 popular songs including Rose, Rose, I Love You. He also faced government persecution, which cut short his life at the age of 46. Remaining in mainland China was not easy for musicians! 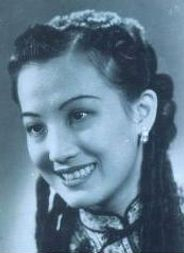 Yao Min ( 1917-1967) was the brother of celebrated singer Yao Li. He was equally famous in his own right as the most prolific of all the popular songwriters. He was also a fine singer himself. Chen Gexin, Lijin Guang and Yao Min became known as the three giants of early pop music - the Big Three. They were worthy successors to Li Jinhui.